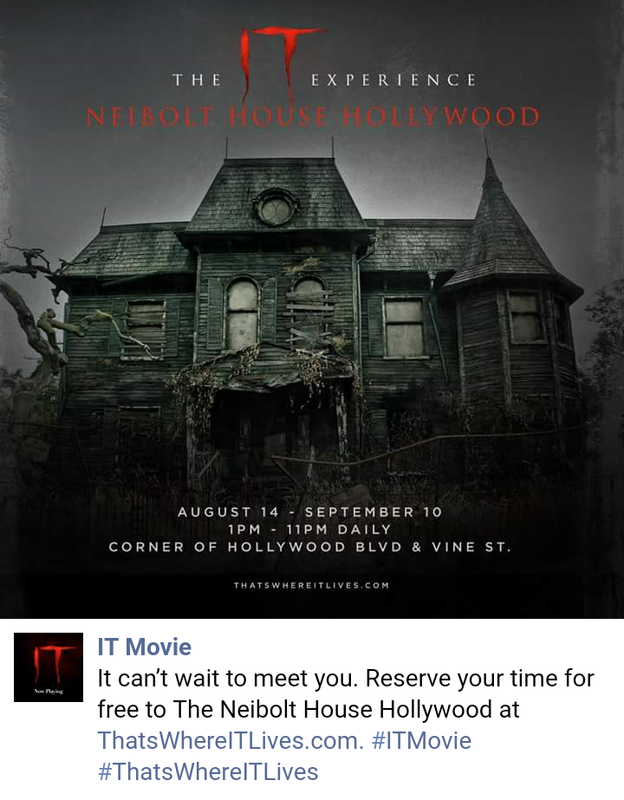 I recently watched the new movie IT. There was so much symbolism in it that I’m not sure if I even caught it all in one sitting. I will try my best to remember what I caught but I’m almost positive I will leave alot out. I will combine my research with what a few others have found. I normally don’t talk about the symbolism in movies not unless its directly related to the research I’m doing. In this case, its all related. I will try to link to papers I have written when its connected to the movie. Oh yeah, spoiler alert…kind of. Let me say this first. There is more to this whole clown thing. Its just not by happen stance that clowns have gained popularity again in the last few years. Not only are they seen in movies but they have been seen across the country. You can Google “clown sightings” and see exactly what I’m talking about. There is a spiritual aspect to all of this happening and with the release of It and AHS:Cult within a week apart, it isn’t a coincidence. 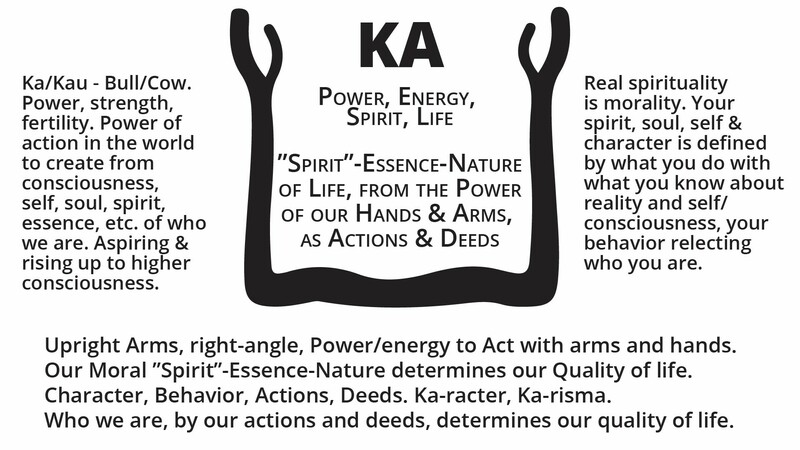 I believe a lot of this is symbolic of what these occultists to want to happen. By that I mean, this false sign of Rev 12 is connected to all of this. I believe its a spiritual birthing taking place in September and not so much physical. Although we can see the symbolism of the birth waters breaking with Harvey, Irma, Katia, Jose and finally Lee. My opinion is that this is a release of an ancient Nephilim Antichrist spirit. You may ask why just America. Well I think once America falls spiritually and physically, everyone else will follow. They then can follow the leader. And I also believe that because American Christianity has given itself over to this new golden calf (the false sign of Rev 12) and decided to worship Jupiter Serapis instead of the real Messiah Jesus, this is what America gets. America is being given over to this ancient Nephilim spirit that is Antichrist in nature. There are those that believe, as myself, that Nimrod and Osiris were Nephilim (giants born from women who mingled with Angelic beings). They also believe that Nimrod was a type if not a prototype of the coming Antichrist. You put these two things together and you have an ancient Nephilim Antichrist spirit. So what does this have to do with Pennywise the Dancing Clown from the movie IT? Everything. I recently came across some research that connects Nephilim to clowns and this research believes that clowns actually represent and looked like Nephilim. It’s very plausible but I’m still sifting through a few things. 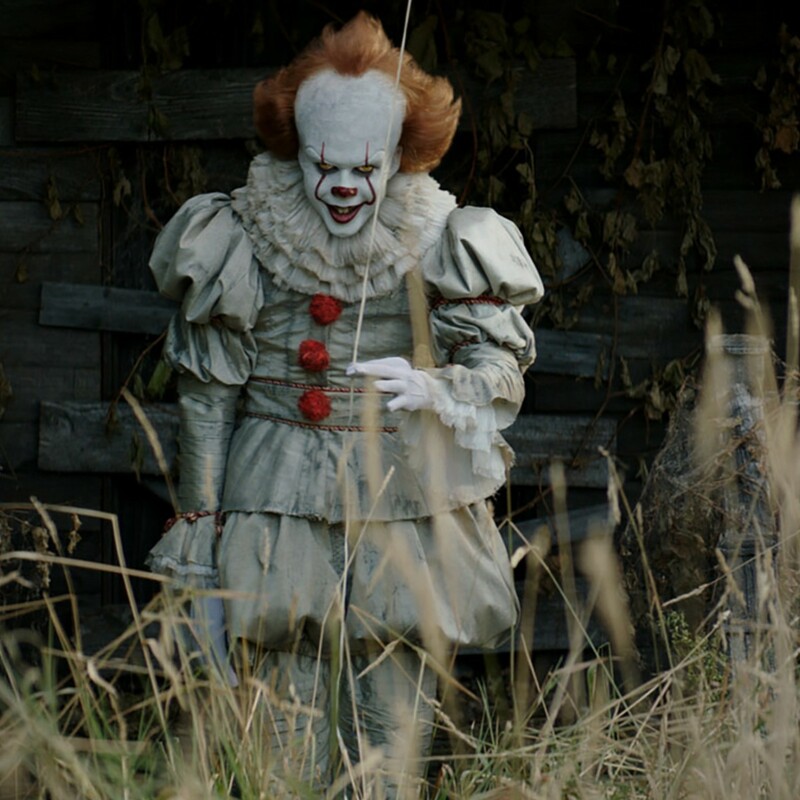 Now as far as Pennywise is concerned, he has a giant head, potrayed as above average in height, the red lips representing blood, the horns painted on his face that go from his mouth to above his eyes and the horn motif of his hair. 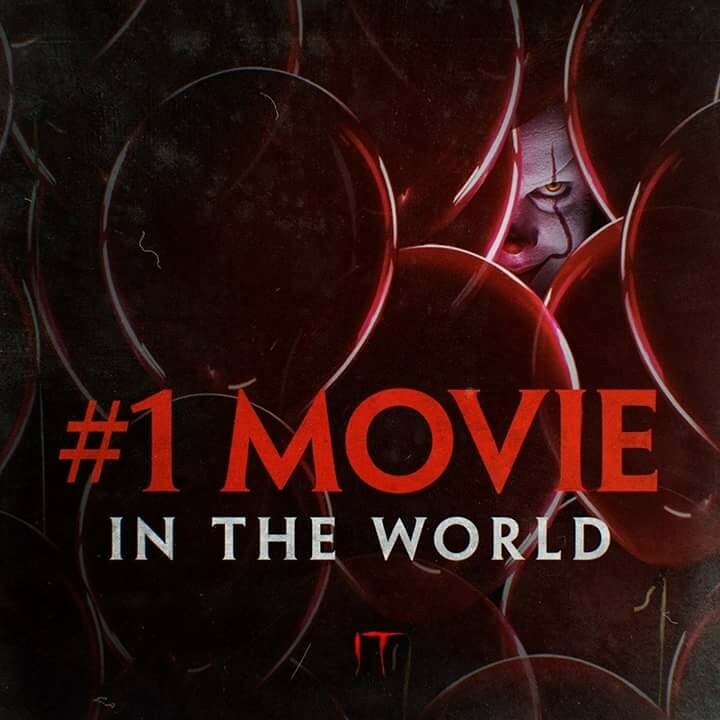 At one point in the movie while the kids are in a garage watching slides, the slide projector decides to become possessed and Pennywise comes out of the screen into their reality. He is very big and takes up a good part of the garage. I would say he is definetly Nephilim in this particular scene. You can tell by the images above, this thing is definetly a giant. 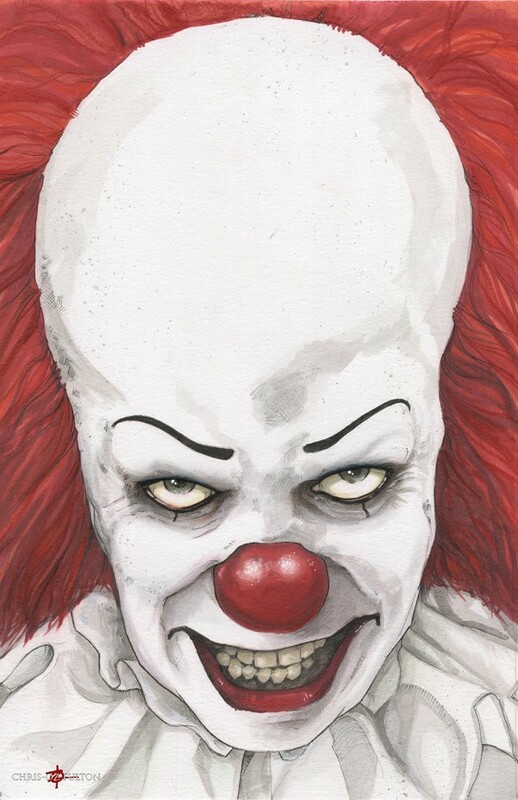 Now that I went through all of that its easier for me to say that Pennywise is a demonic clown. And this is by King’s own admission. So its no wonder why he’s a demonic clown, look at his history. Let’s talk about the movie for a minute. The movie is set in Derry, Maine. Youtube channel Enterthe5t4rz has a few videos out on this movie and has made a few good points. Watch these two. One point he made was the name Derry. He makes a word connection to Dairy as in Milk which leads some to drop the vowel via Hebrew and then you come to MLK. That is the spelling in Hebrew for Molech and Melech. 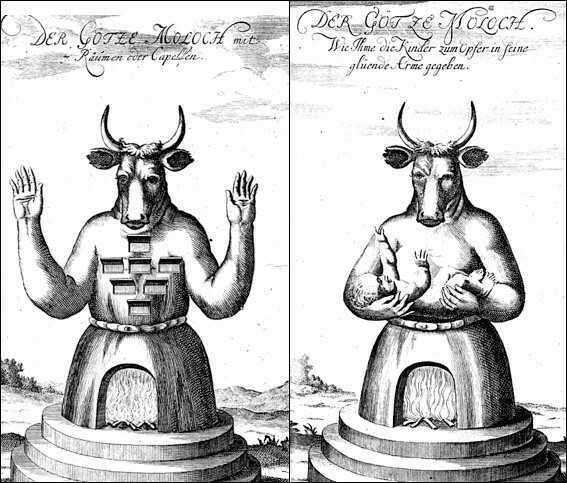 Moloch was the false god represented as a bull who “ate children”. Technically the people would take their children and sacrifice them to Molech by throwing them into his belly or arms which was a firey furnace. This would obviously kill them in this ritual. 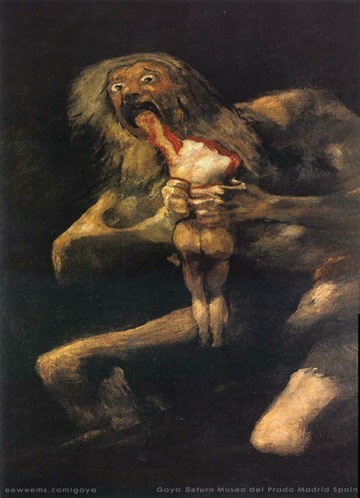 This may even be a reference to Saturn/Cronos eating his son. In the movie, the kids even comment saying how Pennywise was a child eating clown who came out from this “pit” (my wording) every 27 years. 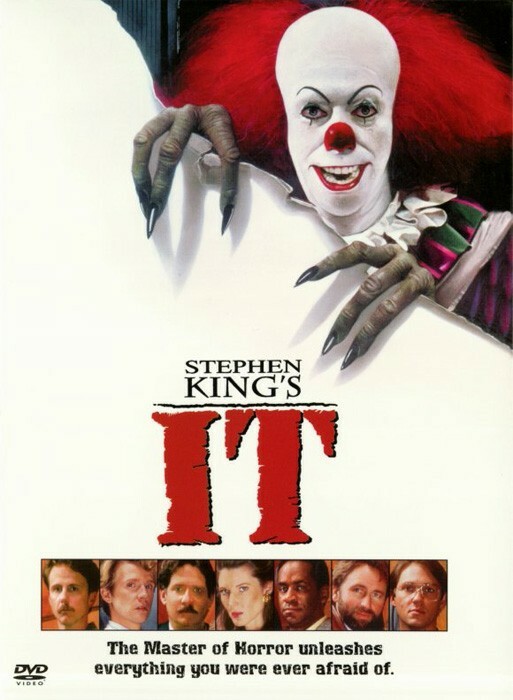 As far as the number 27 goes, the original series for IT came out 27 years ago in 1990. 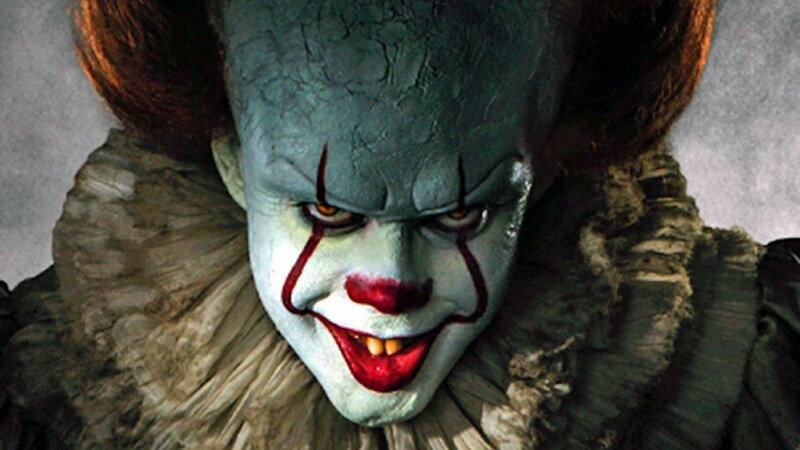 And the actor who played Pennywise in the new movie is named Bill Skarsgård who just so happens to be 27 and was born on August 9th or what is called the 9th of Av on the Hebrew calendar. This is when both temples were destroyed in Jerusalem. You can make what you want out of all that. 27 was also significant in the movie when Pennywise would come back to eat the children. 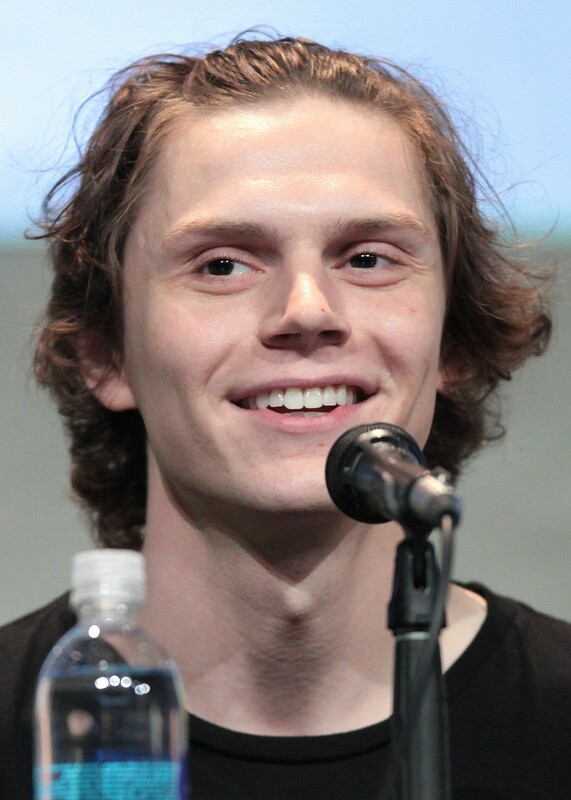 Look at Skarsgård below and look at Evan Peters from American Horror Story:Cult. Peters plays the psycho in this series and look at how familiar they look to each other. Kinda strange. They got the same look going on. Now a reference to Melech even works with this too. Melech means King. Stephen King wrote this book and notice the poster below and the one at the beginning of the article. Now lets get back to Derry for a second. Derry means ‘gifted ruler or ruler of the peoples”. This is a reference of the historical Nimrod who was in fact a ruler of the peoples. This happened post flood. That’s important because at the beginning of the movie its raining. Its raining enough to cause some sort of flooding, this is the reason why Georgie goes out with his boat in the first place. Before I go on I want you to look at this poster below the Derry poster. 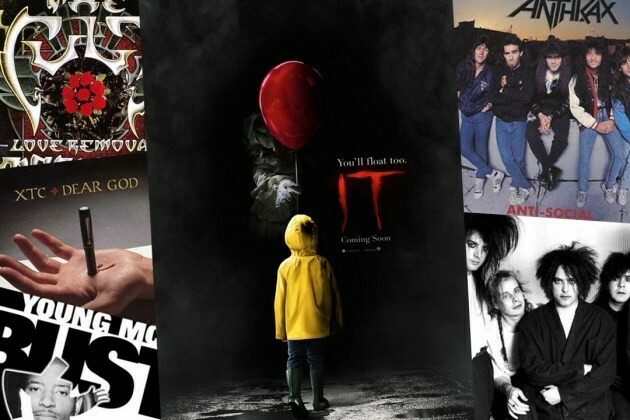 Do you notice how big Pennywise looks? 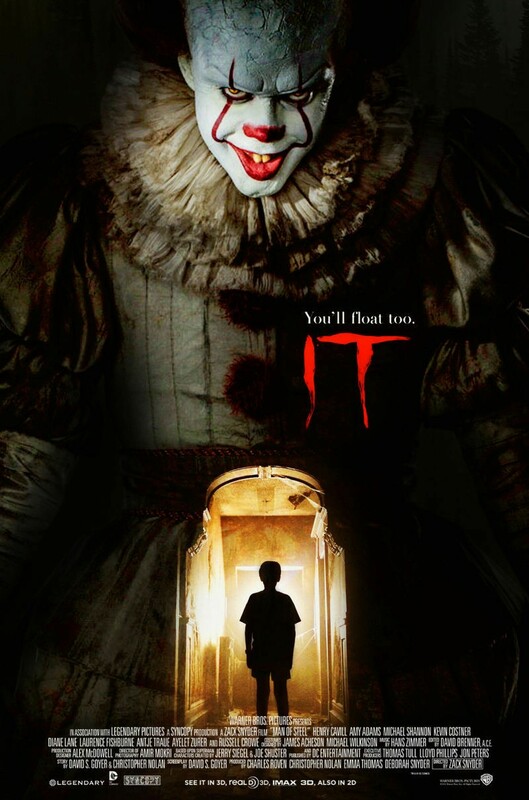 If Nephilim are actually connected to Clowns somehow (either by physical appearence or spiritually), do you see any symbolism in this poster? The flood in Noahs day came because of the wickedness throughout the Earth. 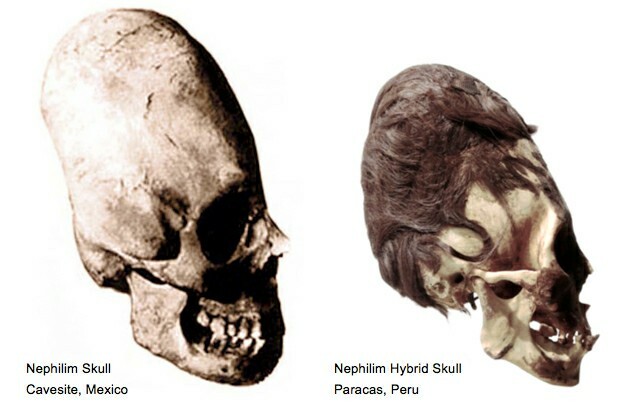 This was mostly due to the giants or Nephilim that roamed the earth. You can see it the opening scenes of the movie and in this particular poster the mocking and scoffing that King has directed towards God. The giants were killed in those days by the flood. 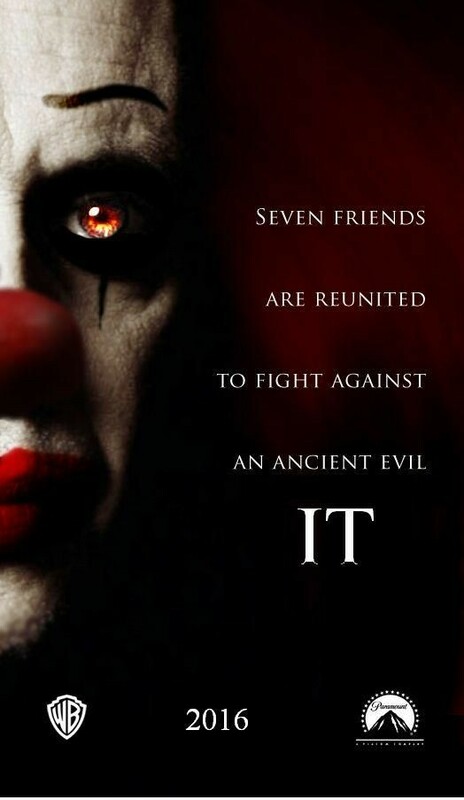 Pennywise is saying that they somehow survived…spiritually that is. I think its safe to say that what we know as demons today are these ancient giants that died in the flood. It would make sense. They were half angelic and half human. The body died but the spirit still needed to go somewhere. I think these spirits stayed here hence these are these demons. I also want you to look at the opening scene below in reference to prior to the flood. Notice the dinosaur and the “gulf wax”. I won’t get into it but I think dinosaurs wete genetically modified by the fallen angels. And the gulf glue, that reminded me of the pitch that was used for Noahs Ark and the building of the Tower of Babel. Why use GULF wax? I want to go over a few other things that caught my attention that no one else has seemed to mention. I’m not going over the whole movie but just things that caught my attention. I’m not going to regurgitate what others have already said, you can watch their videos if your interested in what they have caught. The opening scene starts out with it raining outside while Billy is taking a manilla seperater from a binder of paper. He is making Georgies boat that will float in the gutter. Bill has a Gremlins movie poster over his bed. Remember, Pennywise is a demonic clown. Gremlins were also historically known as nimphs, fairies and demons. Read this about the history of the word Gremlin. This movie is centered around demons. As he makes the boat, Georgie draws a smiley face on the bedroom window. Now there are 2 different connects here today may just be coincidence. The first is the obvious, the hurricanes which are producing floods as this movie was released on September 8th. The second is Georgie drawing a smiley face on the window. Some believe NASA is covering up Nibiru or Planet X that is located by Jupiter in the constellation Virgo. 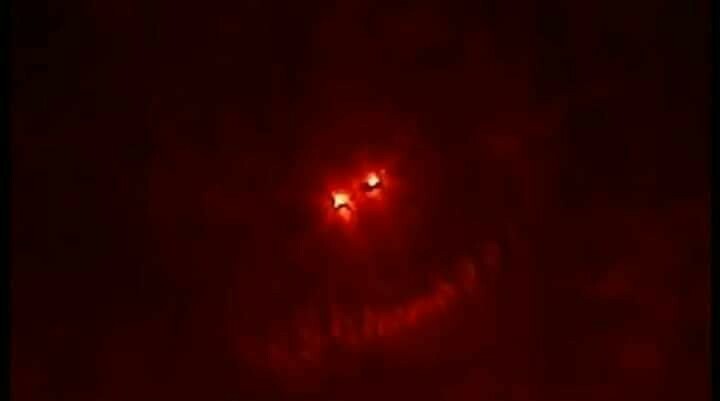 It just so happens to look like a smiley face. Read my article here. 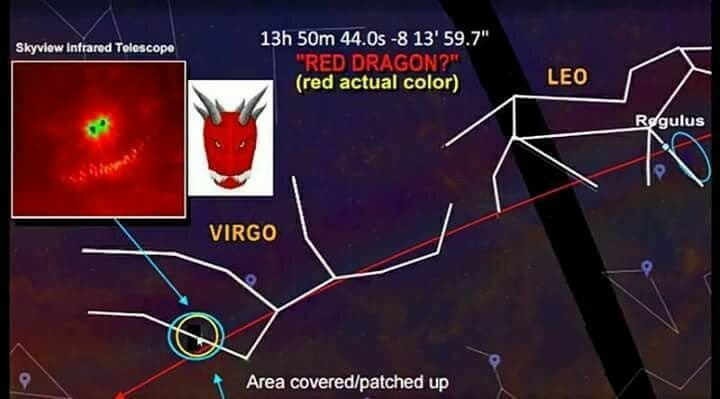 Those who believe that this sign on 9/23 is the real deal think that this smiley face is the dragon awaiting the “baby” to be born. I’m not so sure about that in their context. In my opinion its either a doubling of a original image as you’ll see in my article or its related to dark matter. That’s all I will say. You will have to read my article. Notice also the name of the actor who plays Pennywise the demonic clown is shown as Georgie does this. Georgie asks Bill his brother if he would go with him outside but Bill replys after stuttering, he would if he weren’t dying. 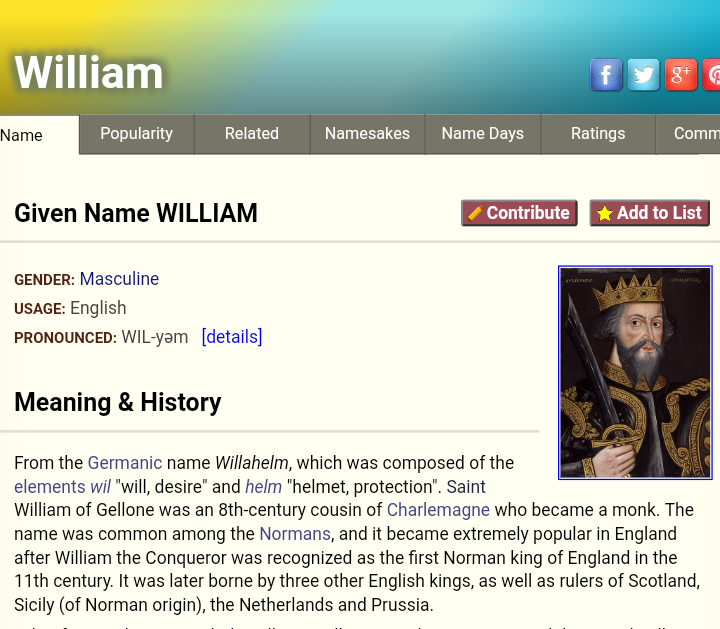 Now the name Bill is a nickname of William which means ‘resolute protector’. This is what Bill was to Georgie, his protect. Kind of like how Moses was the protector and leader of the Israelites as they came out of Egypt. And originally both Moses and Bill had stuttering issues. So we see the hero and the villian already. 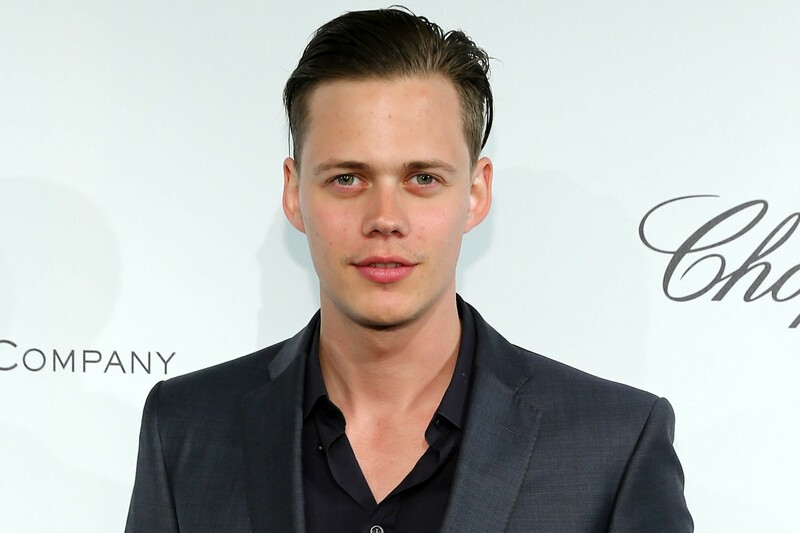 Bill (Georgies brother) the hero as Bill Skarsgård is playing the villian. Two Bills. 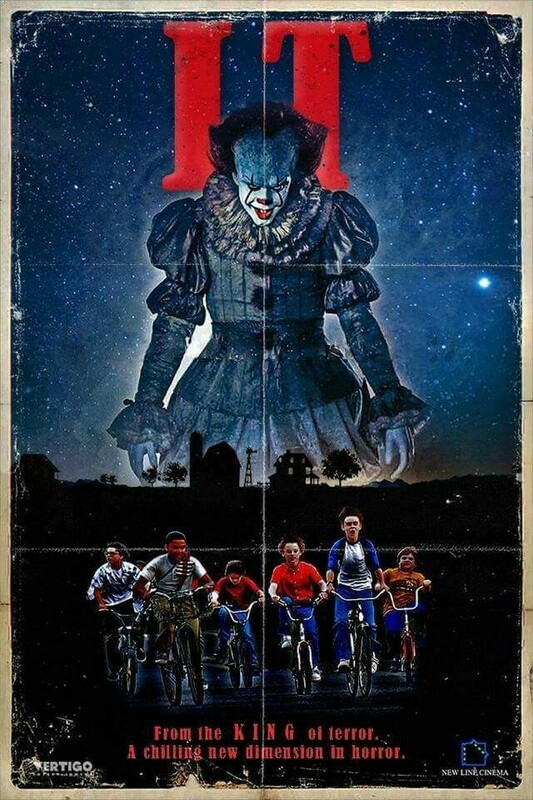 I also think its strange that we have BILL and PENNYwise as the two main characters. The dollar bill has so much occult symbolism on it that its not funny. While the penny features Abraham Lincoln, representing the false hero of greed and wealth. People put their hope and faith in the copper Abraham instead of putting their faith in the GOD of Abraham. Do what you will with that. Another interesting connection with Abraham and Nimrod was in Genesis 14:1-17. 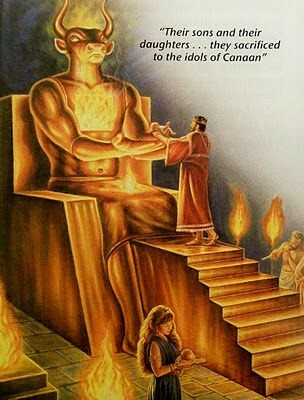 This is when Abraham went up against Nimrod or Amraphel and defeated him and his Nephilim (giant) offspring. Just thought I’d throw that in. 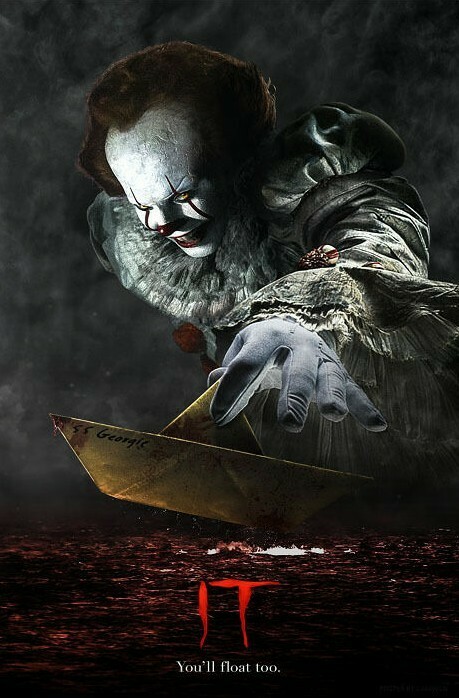 Now after Bill made the boat, Georgie goes outside to float the boat in the gutter. The boat gets away from Georgie in the torrent so he runs after it. After he didn’t see a construction beam, he hits his head and falls to the ground. I want to point out the references to the turtle just for a second. In the book the turtle is the good entity if I can say that, and the ruling entity or being over Pennywise (representing Satan) is called The Other. Now the turtle mythology has to do with a turtle having his part in creating the earth and then carrying it on its back. The first reference to this turtle is the shot where Georgie falls to the ground after hitting his head. The other references are when the kids are swimming and they feel a turtle and the Lego turtle in Georgies room. Its rumored that the turtle will make itself known in the sequal to this newer version that will take place in the movie 27 (2+7=9) years later. 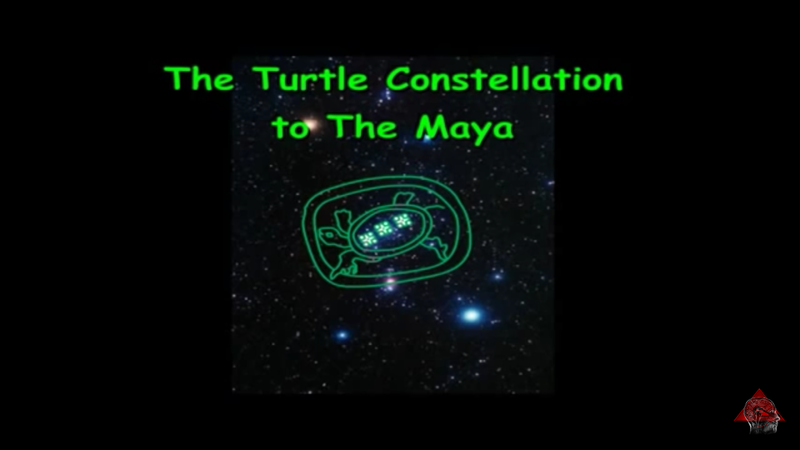 Also the turtle in Mayan represents a constellation. 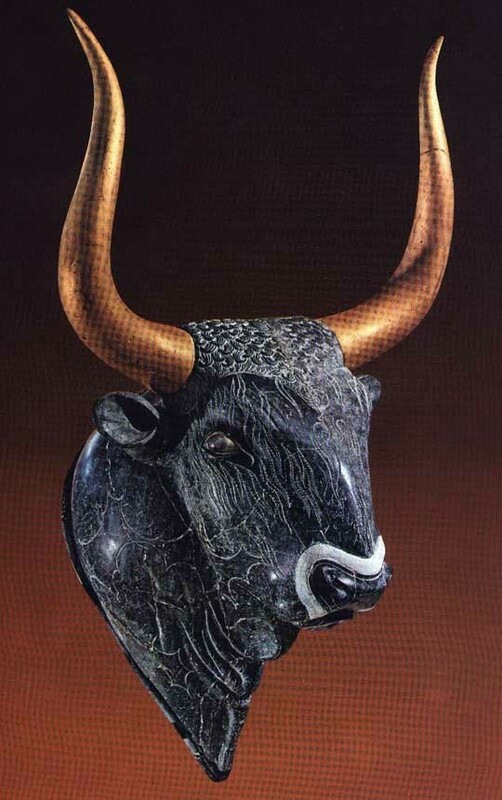 It represents the belt of Orion. 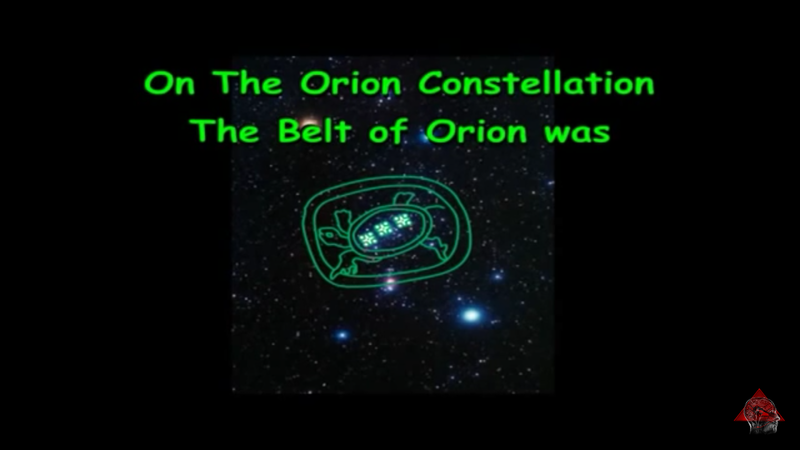 Now the interesting thing about this turtle/Orions belt connection is with the Nephilim. Orions belt is said to line up with the Pyramids in Egypt. I noticed that the planets Mercury, Mars and Venus on Leo (9/23/17) line up with the Pyramids also. Not only that the three hurricanes we had recently lined up with all of this. Its strange but I do think that the spirit of Osiris is being invoked with not only the movie IT but with these hurricanes. And remember, all this is taking place in September 2017. Here is the three hurricanes three stars connection. 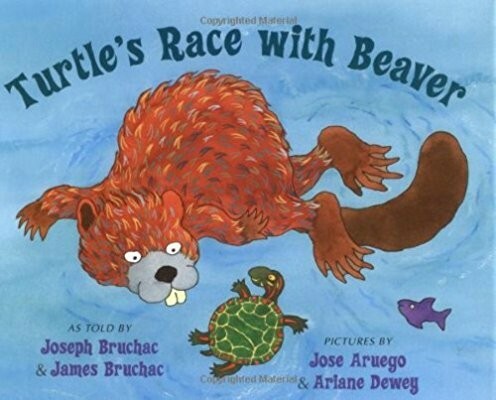 There is also a connection to the turtle and the beaver. What’s a beaver have to do with all this? Derry in its inception was a beaver camp until Pennywise showed up. That’s how they made their living. Catching beavers. There is also another interesting conection to the beaver. The only lead girl in the film is named Beverly Marsh. Her name means ‘meadow of the beavers in the wet land’. I can’t figure out the symbolism for the beaver and Beverly but IT can’t seem to let her float because she isn’t afraid of him. The movie lets one assume that Beverly had been molested by her father from how he acts with her. That’s what I took from it. Now an interesting connection to another movie is Split. The “beast” lets the girl go based on her being molested and that she’d a cutter. She is one of the chosen “pure” ones according to the “beast” in Split. 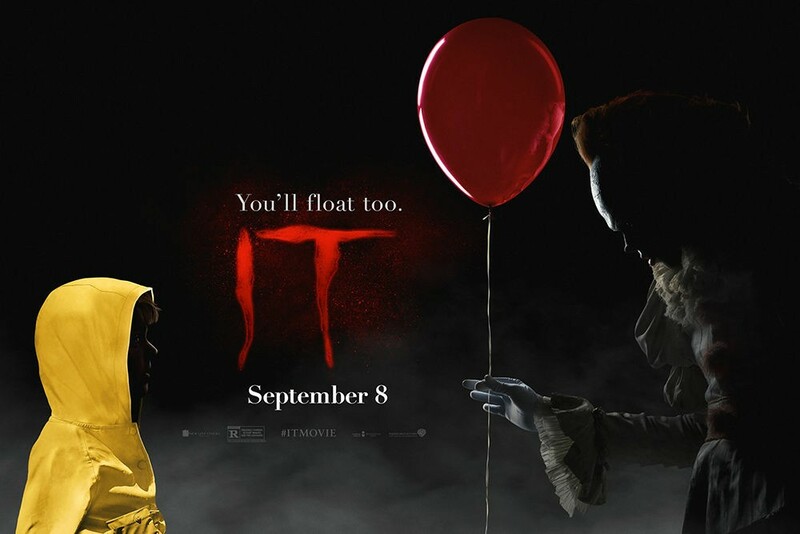 I did an article on Split in May and I think its worth reposting here in reference to Pennywise not being able to make Beverly float with the rest of the kinds. “Man oh man. 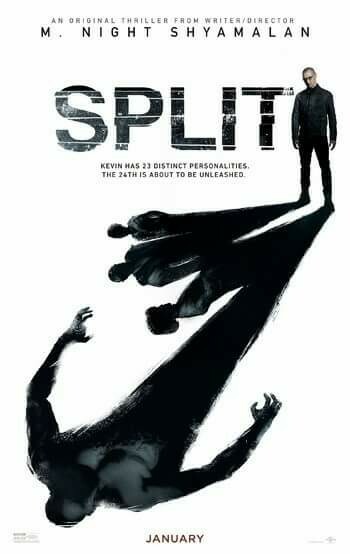 I watched the movie Split a few months ago and I’m not going to lie, its a little disturbing. I forgot that I wrote this when I saw it and just found it again. So I’m going to post it a little late. If you see the earth dwellers/ image of the beast and locusts of Rev 9 like I do then this movie makes compete sense. I will post my word study on these earth dwellers so you can see where I’m coming from. During the movie, all i could think of is these earth dwellers who are possessed with these Rev 9 demons. They were becoming the image of the beast…literally. 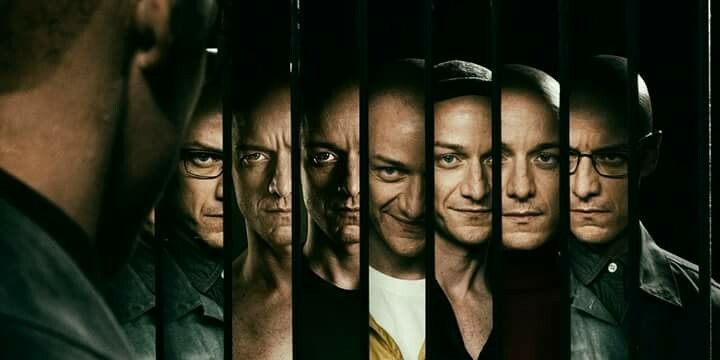 23 split personalities were all taking on their own seperate roles in one body. 23 is the number of death. Number 9 was the beast. That’s pretty obvious. The sacrifice of 3 “impure” teenage girls. Only to find out the “pure” were those who were molested by pedophiles and cutters. And the girl that got away was the “pure” one. The beast was rejoicing over her and let her go. Se was one of those “chosen one’s, who were going to evolve into something “better”. Talk about demonic. This goes along the same lines as Beverly not being able to “float”. 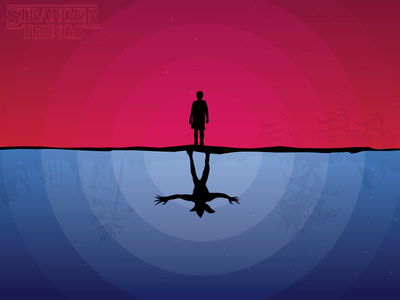 And this idea of floating reminded me of the “upside down” in Stranger Things. Notice the silhouette of the demagorgon and how it looks like Krusty the Clown. There is also a reference with floating to the death of a body in water and levitation. The common denominator here is witchcraft and demons. Maybe you can find some more connections to all of this. Now back to the movie. As I was saying, after Bill made the boat, Georgie goes outside to float the boat in the gutter. He waves goodbye to Bill as Bill stands in the window. I could go somewhere with that but I will leave it alone. The boat gets away from Georgie in the torrent so he runs after it. After he didn’t see a construction beam, he hits his head and falls to the ground. The next scene is when the boat goes into the gutter right near the corner of Witcham and Jackson Streets. Evidently these boys lived on Witcham Street while Jackson was the cross street. 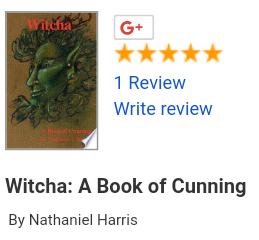 My first thought was Witch, that’s obvious. But I looked up Witcham and found a few things. Something that is pliant can easily be bent or flexed. “Pliant has both a literal and a figurative meaning. Pliant can describe something that is bendable — like a spine, a tree branch, a bendy straw — or it can describe something that is flexible, but less tangible. In this latter sense, pliant describes something that adjusts to conditions or is easily influenced?” (https://www.vocabulary.com/dictionary/pliant). So when referring to pliant people, they are people who can be easily influenced or controlled by other people. Like Georgie. Then I looked up witcha and did actually find something. Its the root word for witch, wizard or male sorcerer. Now Jackson is also interesting. Jackson means the son of Jack. 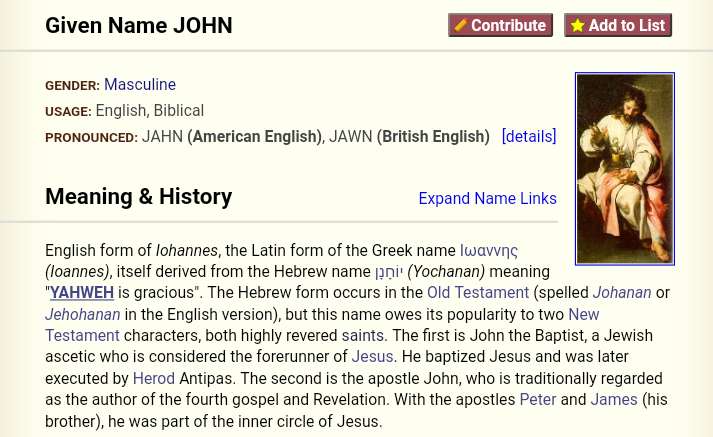 Jackson can also mean God has shown favor and Jackson derives from John and Jacob actually. 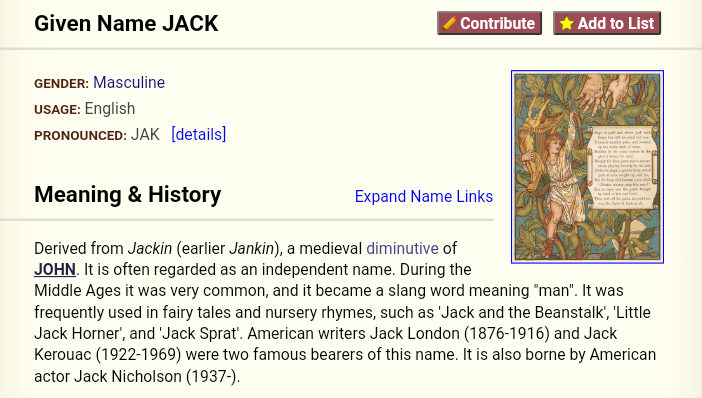 Its also strange that Jack is slang for meaning “man”. Then you would get “son of man”. We know who the real son of man is. Jesus Christ who is the King of kings. Not Satan in their demented world view. Jackson in my opinion is a “earth dweller”. And for a second think about the name Jack for a minute. Jack and the Beanstalk (about a giant), Jack in the Box (a devil/clown in a box) and Jack o Lantern. Giants, devils and clowns…need I say anymore about the name Jack. I’ll do another post about this jack in the box. 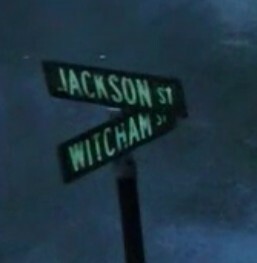 So Georgies crossroads was at Jackson and Witcham streets. Where the male scorcerer or witch has favor from his god. In this case Satan. Now Georgies name is interesting also. George means “tiller of the soil”. The first tiller of the soil was Cain. He was also the first murderer and cannibal in my own opinion. This is symbolic of Satan taking the wicked one Cain prior to the flood. Georgie not only represented Cain but also the god Tyr or Tewes, the one handed god. Georgie gets his left arm ripped off by Pennywise. 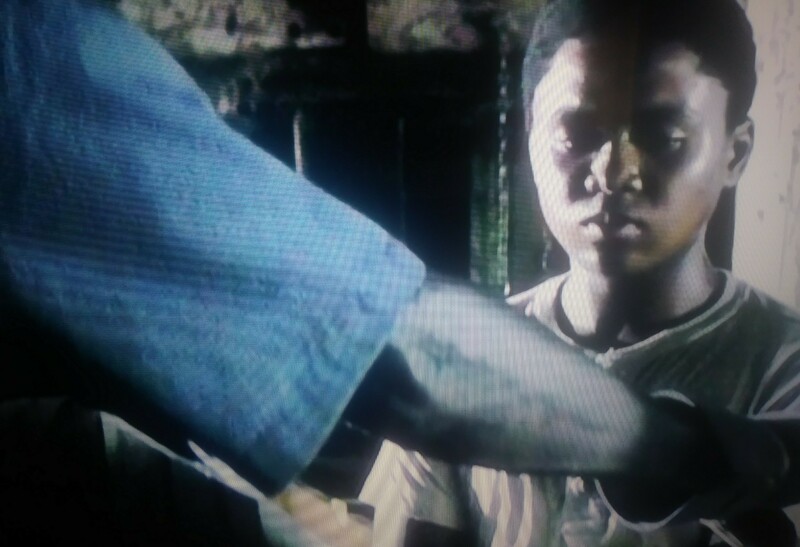 The next scene we will see the representation of Abel as the black kid who is the keeper or shepherd of the sheep. The boy can’t kill the sheep like he is told to so he is reprimanded by his grandfather (I’m assuming) and is given a little speech. He basically tells him that you either end up a dumb sheep and die or you don’t. You can see the symbolism there. 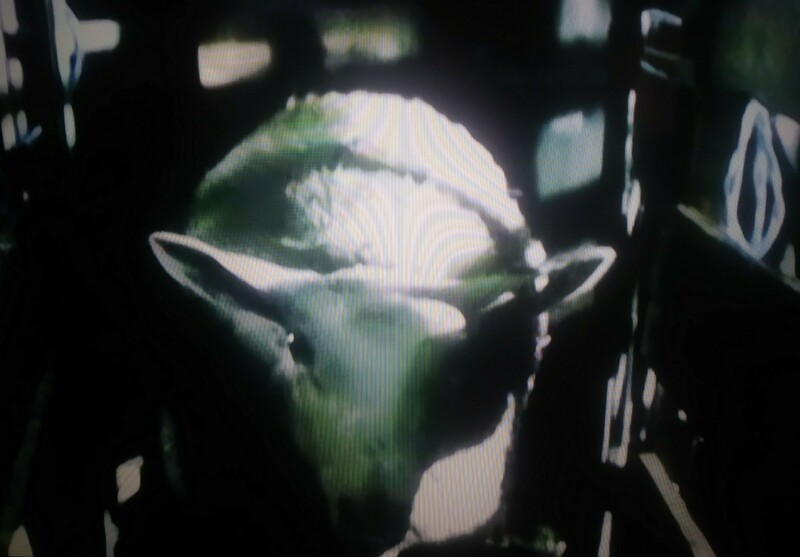 The scene moves from the sheep to real children in school taking about Jewish circumcision. Another Abrahamic reference. While they are talking, a song by the Cult is playing in the background called Love Removal Machine. I want to bring up a few last things. 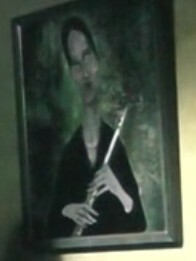 In the movie there is a painting in the Jewish boys fathers office. When I first saw it it actually reminded me of a Dybbuk or cleaving spirit. Evidently Pennywise can change into what he wants and it changes for each person. One boy sees a zombie like thing. But there seems to be a story to this fictitious painting. Read the story here. 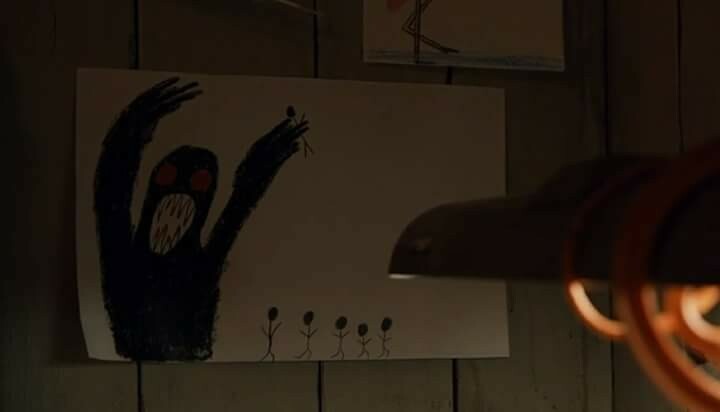 The painting comes from the directors (Andy Muschietti) childhood. Its his rendition of a painting he had hanging in his own home. 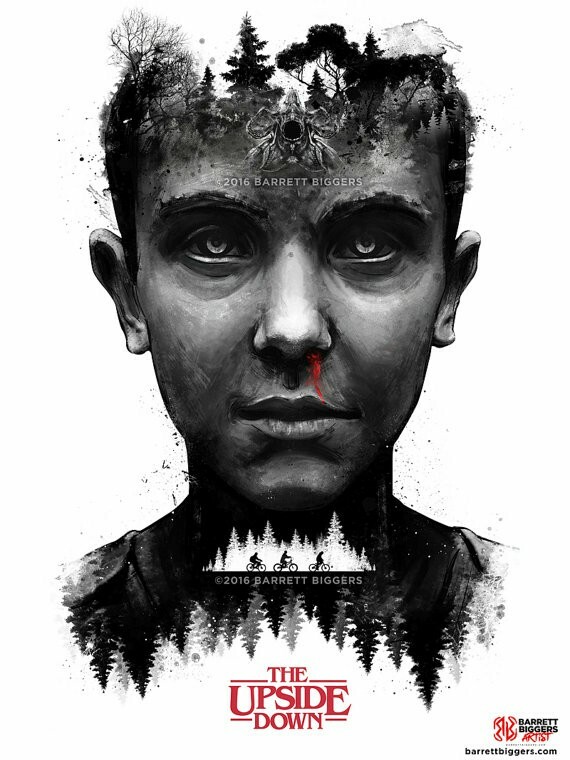 The IT painting is called Judith. Of course it is right? 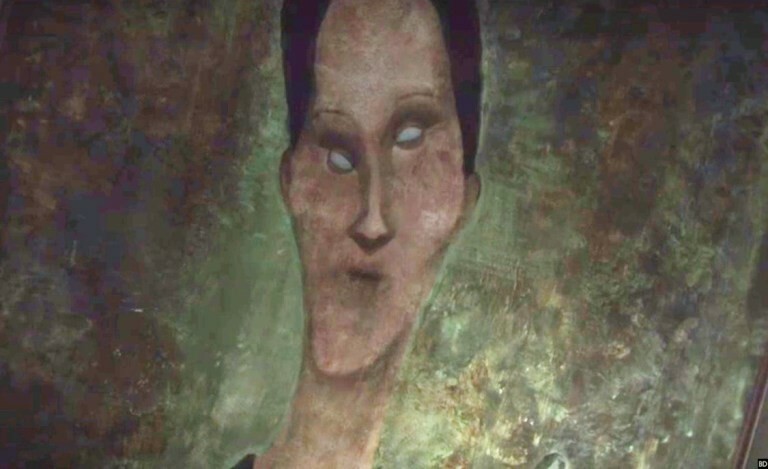 Its also similiar to the demonic woman in Mama who ironically was directed by Muschietti. 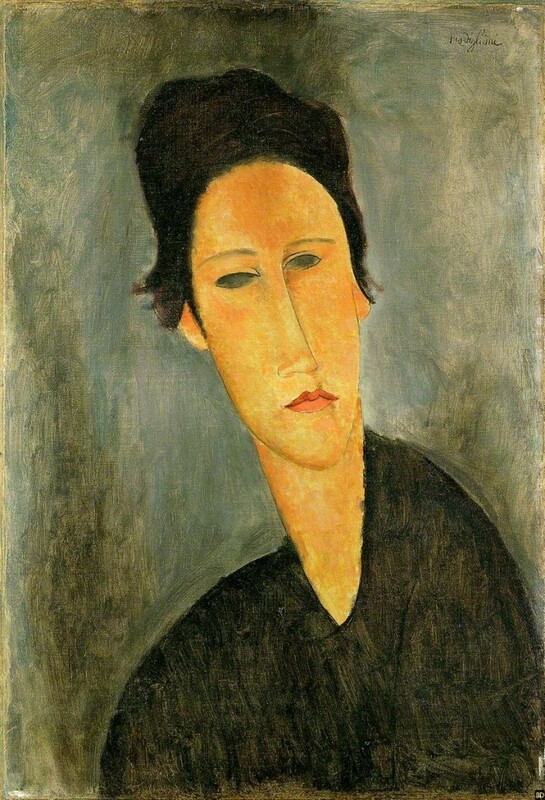 Modigliani was the painter who inspired this image of a distorted flute (pan reference) playing woman. And since I’m on the topic of long necked creepy demonic entities, check this guy out. 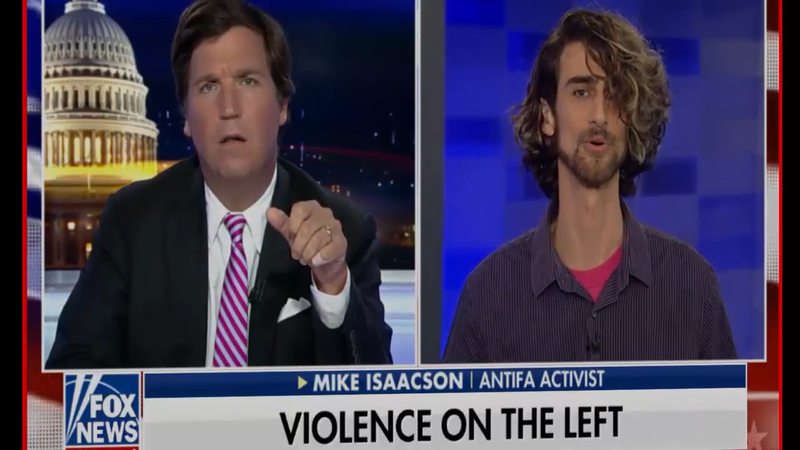 He was just recently on the Tucker Carlson show. 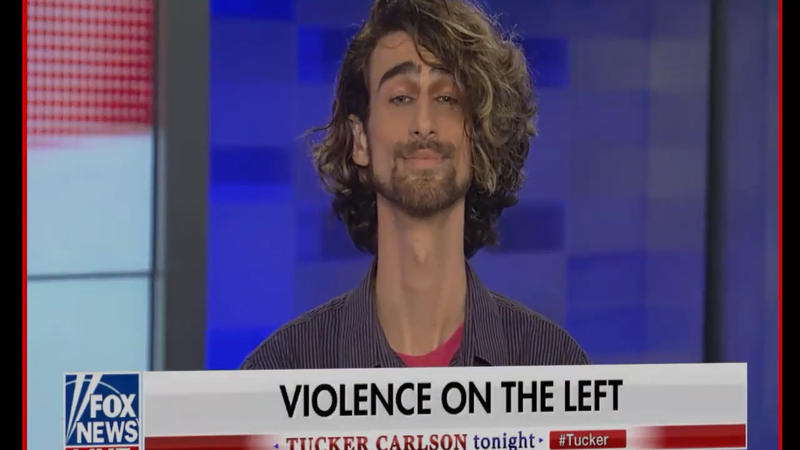 The Anakim in the Bible was a race of giants who had long necks. Kind of like this dude. I thought it was photoshopped until I watched the video. Its not fake. Maybe just bad timing for this guy with a Judith IT reference. I also wondered why this book and movie is called IT? Why use that word? I couldn’t find anything and thought to look at the Hebrew. 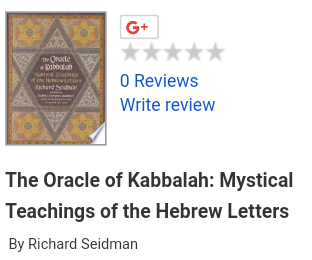 I know these Luciferians are Kabbalists so there may be something there. Well there was…kind of. 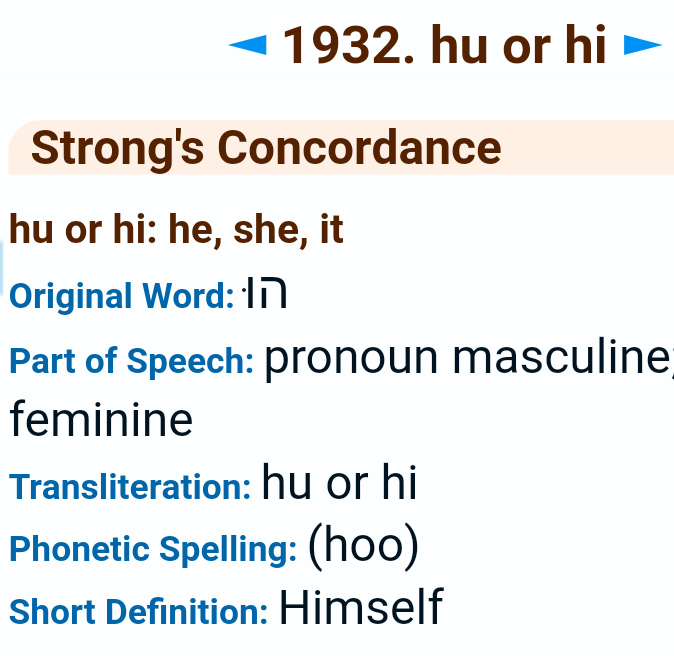 “It” in hebrew means literally he, she or it. But look at the pictures below. 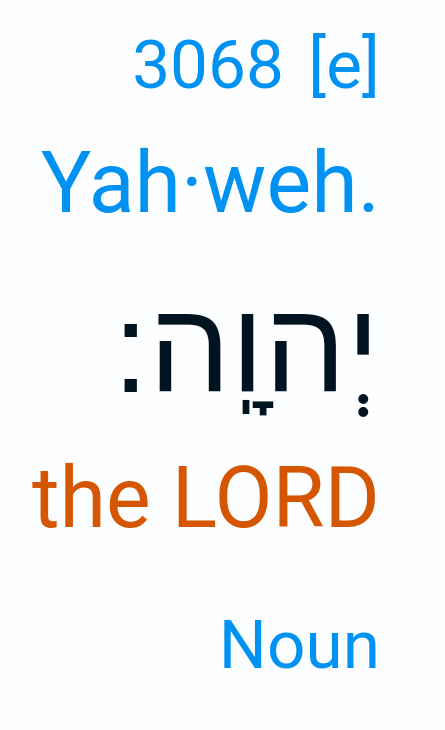 You can see the he and vav in the word Yahweh spell it. 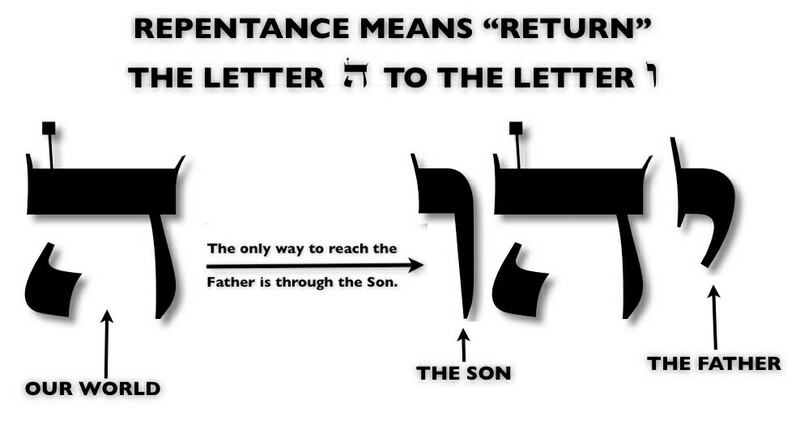 These 2 letters are located in the middle of Yahweh. 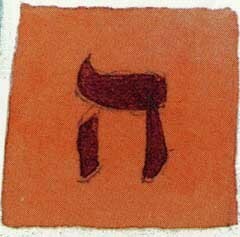 ה represents by itself the name of God in Judaism. It is meant to say Hashem, which by the way I believe is the wrong way to recognize God. 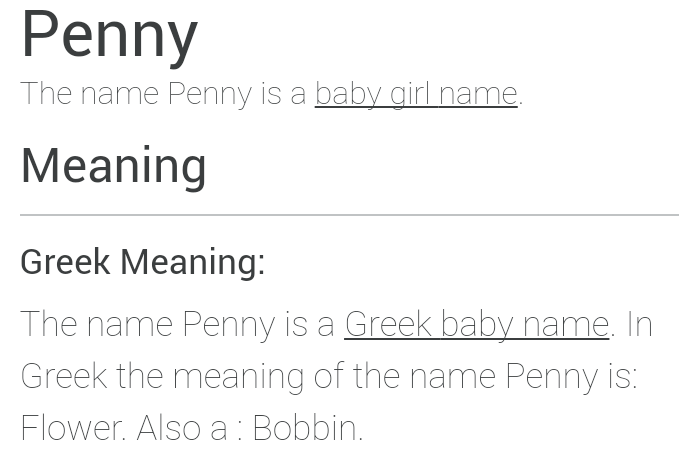 It is basically saying The Name. It represents a man raising up his arms saying behold. ו in hebrew is vav. It is a tent stake, nail or hook. It could read in paleo hebrew behold the nail! So who is always looking out for himself? That should be easy to answer. Satan. I want to also bring up something someone brought to my attention. The logo for IT actually looks like the letter “hey” in Hebrew. 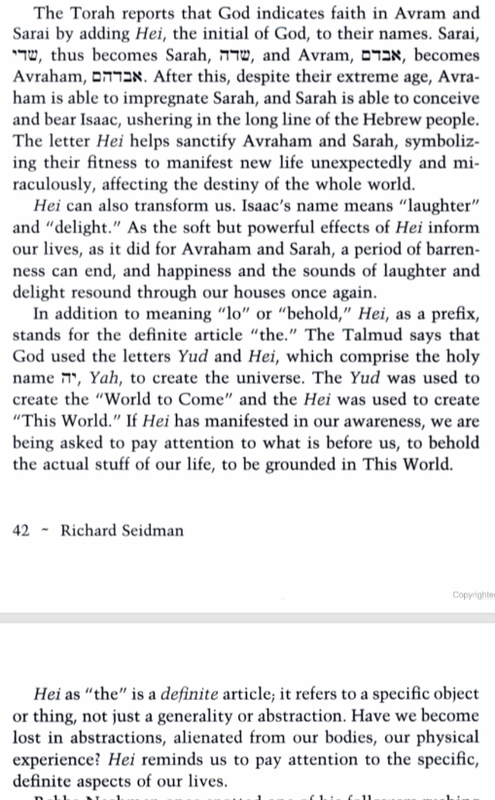 The hey is represented as a window and in kabbalah it represents judgement. Interesting in light of this movie with the Noahs flood “window” reference and these giants were being judged. I could go on and on but I doubt any of us has the time for all of that. There is so much here that I couldn’t possible touch on everything. Besides, it would turn into a book on exposing IT. 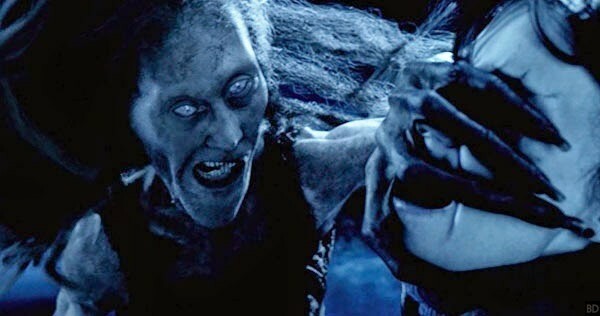 So in my opinion from what I’ve talked about, this movie represents that ancient spirit prior to the flood. 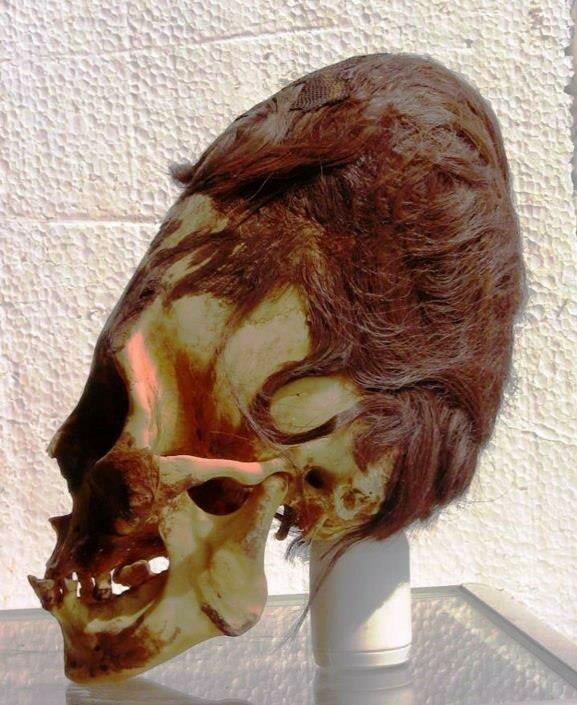 Is it Satan or a representation of Baal himself or an ancient Nephilim spirit? I am not for sure but I do know its a child eating blood thirsty demonic entity and Stephen King knows exactly what he’s doing. He is trying to release this ancient spirit in the form of a clown to get people ready and acclimated for what’s coming. 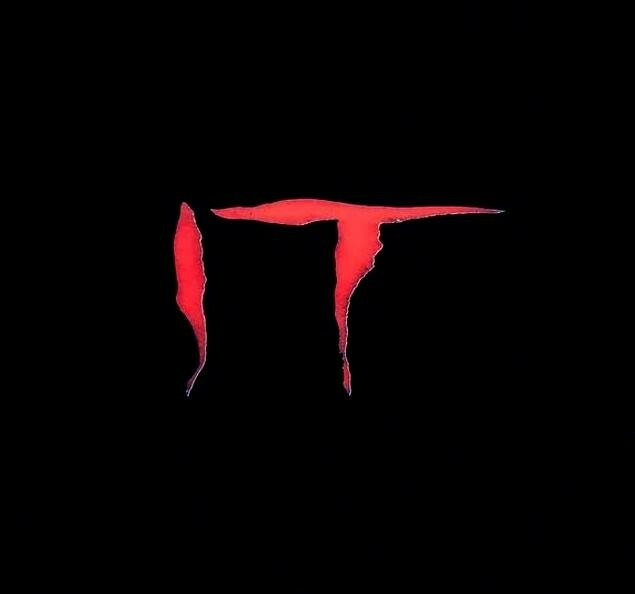 I think everything can be summed up with just using the new IT logo. It is the spiritual window/portal that is being opened through this symbolism of clowns/Nephilim to bring chaos and judgement. 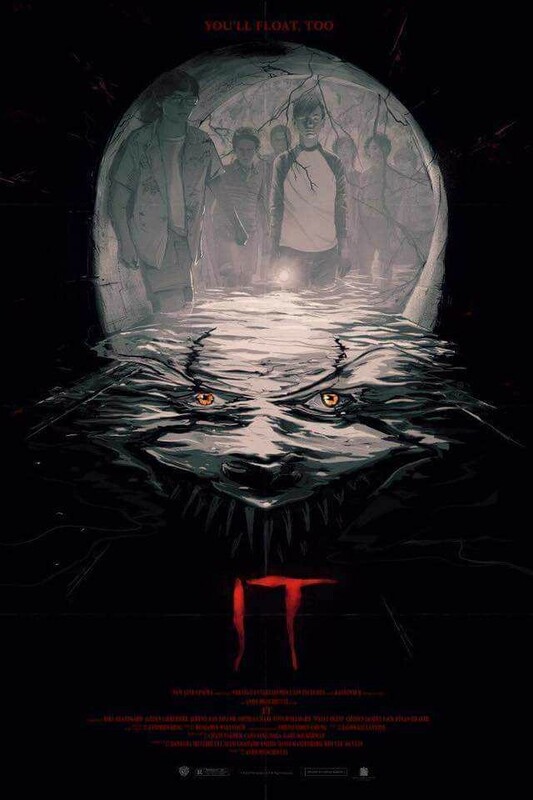 I think everything can be summed up with just using the new IT logo. It is the spiritual window/portal that is being opened through this symbolism of clowns/Nephilim to bring chaos and judgement. 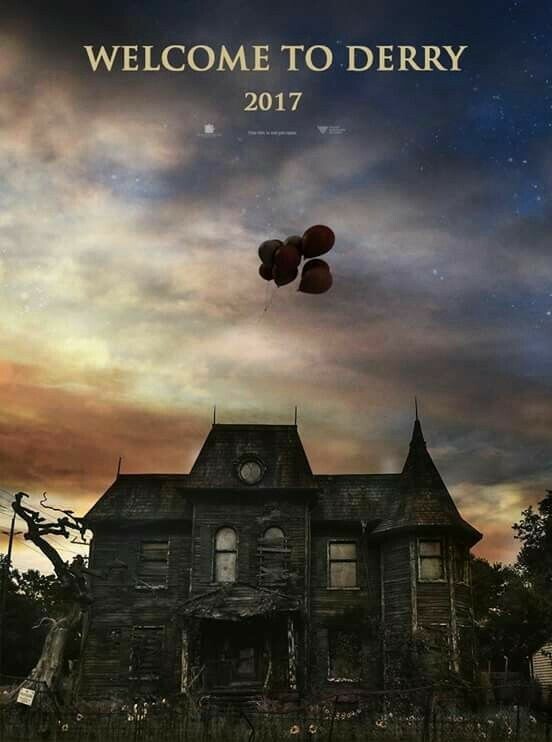 I noticed on the 2017 movie poster that the title “IT” is written in such a way as to appear like the Hebrew letter “hei”. Just an observation, not sure what it means. I didn’t even catch that. 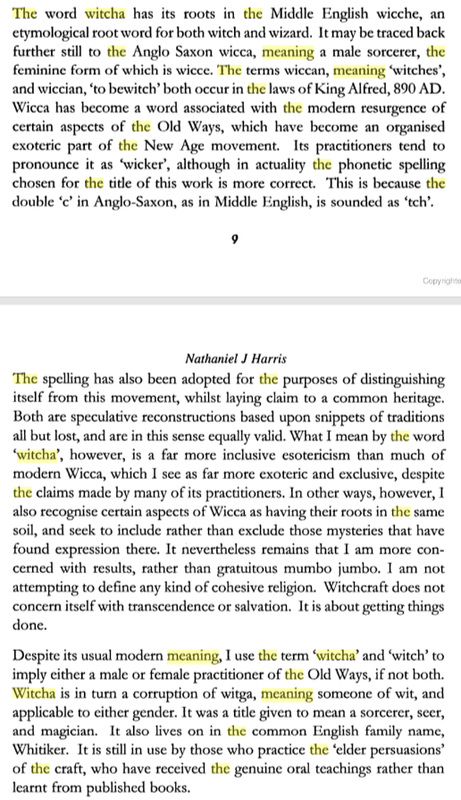 I mentioned at the end of the article how IT is the hey and vav in the name YHWH. It represented the HW in English. But yeah, the logo for the actual movie does look like a hey. That represents a window. Pretty significant. Thanks I will add that.